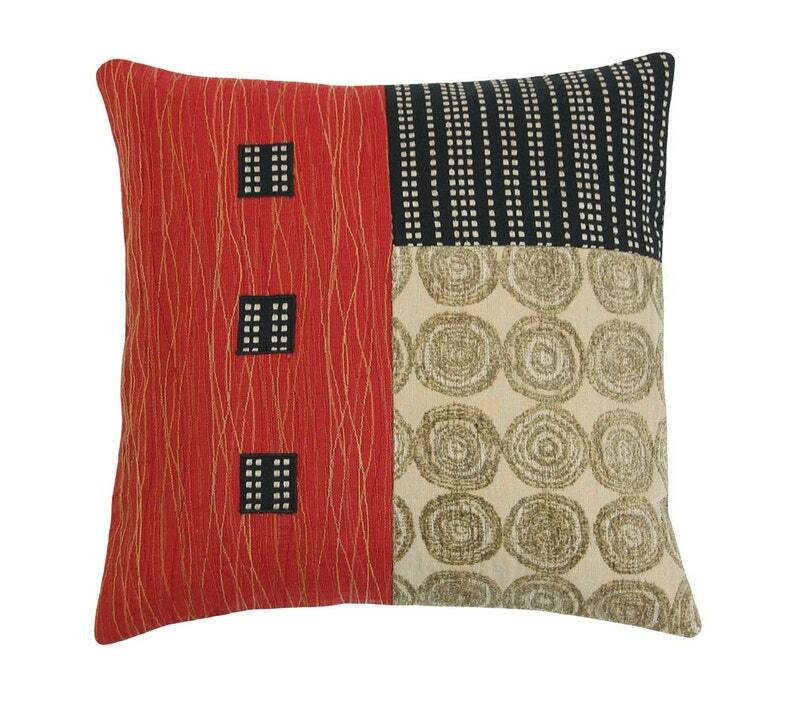 This modern design features three distinctive fabrics presenting a variety of textures and patterns. At 17x17 it is a slightly oversized classic toss pillow. Back panel of black velvet has an overlap closure. Insert included.